New York State tree lovers and plant industry professionals have a new reason to be proud: Draves Arboretum in Darien was recently accredited by the ArbNet Arboretum Accreditation Program, which was created by the Morton Arboretum and is the only international program that evaluates arboreta. Thanks to arborist and plantsman Tom Draves, Western New York can claim a destination for gardeners and students — group tours available — and a center of learning for arborists and landscape professionals. It only took him about 30 years. 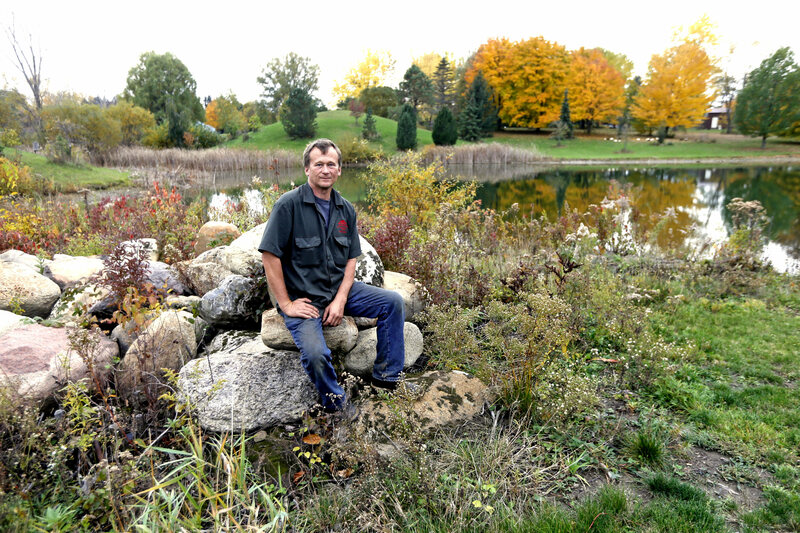 Tom Draves is a third generation arborist who has dedicated his life to trees — as an arborist, a businessman (Draves Tree and Landscape), and now as a curator of his own arboretum. I asked him what motivated him to develop an arboretum — why bother when he had a great reputation as an arborist and a successful business? He told me the story of a slow, gradual evolution. Draves returned to his family home in Darien in 1987 after serving as an Army Ranger — an extremely elite unit that accepts very few volunteers. He and his brother joined and eventually bought their father’s tree business and proceeded to plant trees, "kind of haphazardly" at first. But after some years something bothered him: "Where could landscapers and tree professionals study plant identification for a wide range of trees?" To fill the need he began methodically choosing, labeling and planting trees. Industry groups began to request walks around his property. Another concern fueled the next step: "Too many people buy trees based on just pictures in books or little pots they see in a nursery," he said. "I wanted to show consumers how trees grow in a natural setting over time." The brothers bought neighboring properties, expanding to 25 acres that include almost every kind of soil and site condition we have in WNY. Tours and on-site classes followed. When I asked Draves what kind of groups he enjoys leading on tours he was quick to answer. "Garden clubs … I appreciate their passion for learning; they really look and listen." Long before the arboretum became official, Draves' place became where horticulture students went to learn, whether it was CNLPs in training, landscape crews, arborists, foresters or Niagara County Community College classes. Draves is modest about what he’s achieved and is quick to credit those who taught him along the way, especially Cornell’s George Good and George Hudler, and Dr. Chris Luley of ESF (Syracuse). I first went during a PlantWNY education day and left shaking my head — impossible not to feel some awe when he starts showing you trees. Landscaper Joan Mariea of Garden Escapes said: "Going there just blows you away … You’re learning from the intellectual icon, the go-to guy for any woody plant question." Ed Dore, a leader among New York State’s nurserymen and landscapers, said: "Not only is Draves one of the smartest arborists anywhere, he is generous. Through PlantWNY he shares his business and plant knowledge, even with competitors — a rare thing." 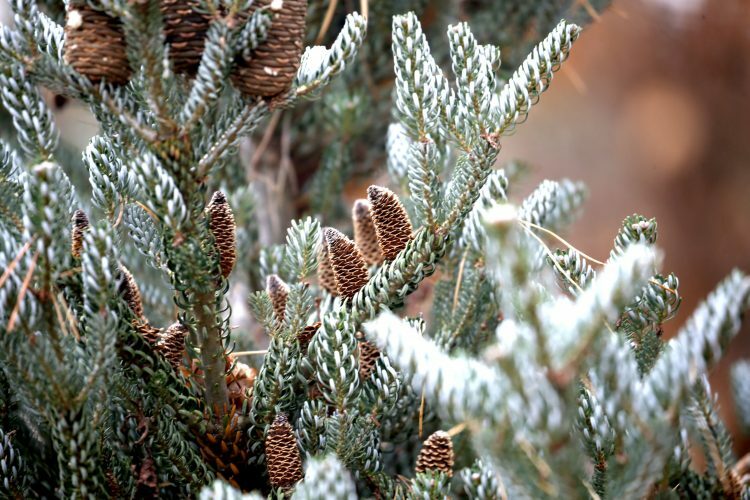 The word "arboretum" could refer to just a collection of trees, but in horticultural circles today it means a living collection of woody plants intended at least partly for scientific study. We have several arboreta in our region, most notably the arboretum on South Park designed by Frederic Law Olmsted, now part of the Buffalo and Erie County Botanical Gardens. We also have the Maud Gordon Holmes Arboretum at Buffalo State College, and many ancient "grandfather trees" in Delaware Park and at Forest Lawn Cemetery. Nearby you can visit arboreta in Ellicottville (Nannen Arboretum), Canandaigua (Sonnenberg) and Rochester (Highland Park, the University of Rochester Arboretum, and Webster Arboretum at Kent Park.) Cornell Plantations in Ithaca is a treasure for students and consumers as well. But Draves Arboretum stands apart in several ways. Becoming an accredited arboretum took more than planting some trees. ArbNet rates approved applicants at four levels according to evidence of development, capacity and professionalism. Pushed by his mentors, including Tim Brotzman, of Brotzman’s Wholesale Nursery in Ohio) and Dr. Luley, Draves began the accreditation process and received a Level II accreditation. At that level an arboretum must have paid staff, a public education program, a documented collections policy, and at least 100 species of woody plants. Draves Arboretum has far more. Asked about his next goal — where does he go from here — Draves answered, "I’ll keep building the collection." Today the Draves Arboretum has at least 500 tree species, including many rarely seen woody plants from all over the world, under observation for potential use here. In addition to collecting and trialing plants, Draves has found new plant species that he is reproducing and studying — something that few people in the industry pursue so diligently. Why? Tim Richley, landscape designer for Draves Tree and Landscape, said: "Tom is an observer, and uncommonly patient. He will look at an unusual plant characteristic that most people might figure to be just an oddity. But Tom will think ‘What the heck is that?’ and stash it in his memory — permanently." This skill of patient observation may be Draves’ most unique trait. It led him to patent a new species of honey locust (Gleditsia triacanthos) now named StreetKeeper ‘Draves’. He found it on a street in a village less than miles from his house and knew it was different— tall and narrow, just 20 feet wide. But it took some 20 years of observation and testing before it entered the long patenting process. Now it is available through most wholesale nurseries, included in hundreds of city tree contracts, has received awards in the U.S. and Europe, and you will eventually find it in nurseries near you. Tom Draves is a very patient man, with an intense focus that he credits to the Army Ranger experience. He has turned that attention to trees, and we can expect him to discover and test new trees for our landscapes. He is watching several right now. Keep your ears open. Sometimes in our midst there is greatness. In this case greatness appeared ever so quietly in the form of a humble tree man who has made an arboretum. Sally Cunningham is a garden writer, lecturer and consultant.